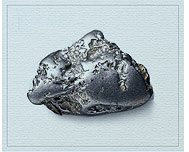 Learn more about the characteristics of silver metal. Learn more about the characteristics of palladium metal. Platinum is one of the rarest metals and so it is extremely valuable. The annual worldwide yearly production of platinum is 10-20% from gold. The most appealing characteristic of platinum is its durability and great beauty. If scratched, platinum will not lose any metal and it does not wear away over time. Used for jewelry, platinum is usually 95% pure and 5% of palladium, ruthenium or other alloys. For guaranteed quality in platinum it will be marked with Plat, PT, 950 Plat or 950 Pt. Unlike other metals, platinum rarely causes allergic reactions and resists tarnishing since it’s considerably denser than gold or silver. However it can scratch and may develop patina. Platinum jewelry prices are dependent on the purity of the platinum, the used of platinum on the piece, the market value of platinum, and the level of craftsmanship and design of each jewelry piece. If platinum is worn daily, it may develop a slight sheen. Although most people prefer this look, you can always have a jeweler polish and restore it to its original shine. Soaking platinum jewelry in a mild solution of soap and warm water and gently scrubbing it with a soft-bristled brush is pretty much all that is needed to keep the metal looking good. To keep your jewelry shining and scratch-free, store them in their original boxes, soft cloth bags, or a fabric-lined jewelry box. Tiffany Jones Designs is proud to offer jewelry in 14k and 18k white and yellow gold. Platinum and other metals are also available by special order.